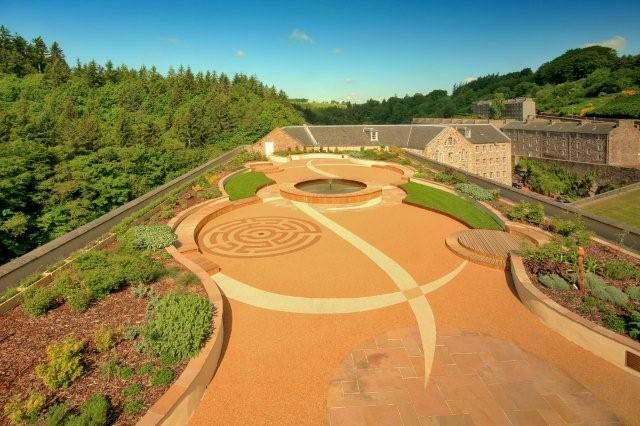 One of our first experiences of working with architecturally sensitive buildings was at New Lanark- a World Heritage Site. Mill 2 now has a beautiful roof garden. More recently we have worked with the University of Edinburgh in the re-gilding of The Golden Boy, a statue that sits on top of the dome of the Old College- a real scaffold/steeplejack challenge. The Willow Tea Rooms in Sauchiehall Street is one of Charles Rennie Mackintosh's most famous buildings- we are happy to be involved in the restoration of the Tea Rooms to their original glory!